It finally feels like Spring is upon us; sun shining, joggers, cyclists and park-goers smiling from ear to ear, and asparagus and fresh herbs everywhere you look. It seemed appropriate to whip up a spring inspired dinner taco - and I couldn't be happier with how it turned out. This dinner throws itself together in 20 minutes, which is totally perfect for those rushed week night meals. The ingredients are light, yet hearty, and the asian inspired dressing is packed with so much taste and flavour, you're going to want to pour it on everything! 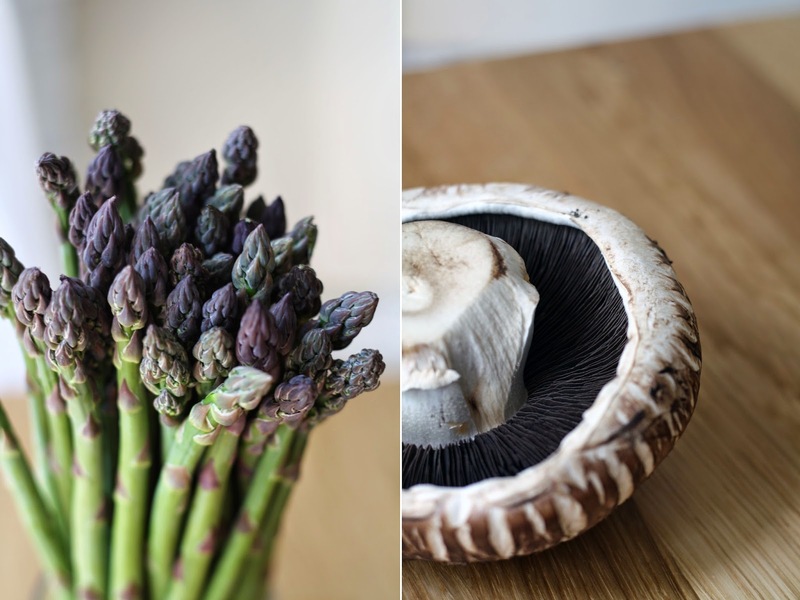 Toss asparagus and portobellos with a dash of olive oil, salt and pepper. Spread onto a parchment lined baking sheet and roast for 15-20 minutes. While the veggies are roasting, combine the lentils and herbs in a large bowl and set aside. Combine the dressing ingredients in a glass jar, seal, and shake vigourously. Set aside. When the veg are ready, add them to the lentils, dress, and toss to combine. When ready to serve, lightly toast the tortillas in a pan over high heat. Spread each tortilla with avocado, and top with a large scoop of lentils and veg. Garnish with microgreens, a squeeze of lime and hot sauce (if desired).